First, I will tell you that I LOVE DINA! She is really sweet, has a great sense of humor and I don’t think has changed one bit since I first met her in Chicago at the TFEIC! 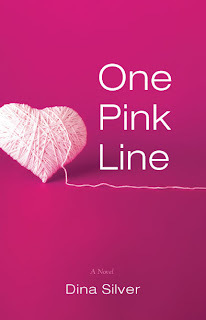 I am a BIG fan of her “One Pink Line” – check out the info about this book below. Make sure to check out my Author Speed Dating Interview with Dina, all the information about her books & ENTER the GIVEAWAY below! Be sure to check back tomorrow for the next author on the list! 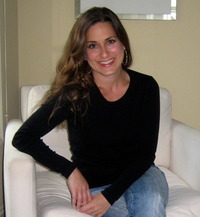 A graduate of Purdue University, Dina Silver has spent the past fifteen years feeding her red wine habit by working as a copywriter in the advertising industry. After seeing the bulk of her professional prose on brochures and direct mail pieces, she is delighted to have made the transition to novelist. She currently lives with her husband and son in suburban Chicago. Additionally, she loves talking about herself in the third person. I pretty much answered this for Dina before she had the chance to – because I know about the backstory of this book. So Dina first, Dina apologized for the lame answer…… she chose Kat in “Kat Fight” – yes, she is the Author of this book… the reason for her answer makes complete sense since is was based on her and her husband – check out the book description below. I have this book and can’t wait to read it! Ok, so Dina cracks me up…… Simple answer here from Dina LOL - “applause”…. “it happens all the time” - HA! After twenty-eight years of playing by the rules, Jessica Gregory moves from her small Indiana town to Phuket, Thailand. But her newfound routine is upended with the arrival of Grant Flynn, a captivating, elusive man who is sailing around the world while trying to move on from a past tragedy. Jessica volunteers to help crew Grant’s boat, Imagine, on a passage across the Indian Ocean and finds herself falling in love with him as the voyage gets underway. But when disaster strikes, Jessica must summon her courage as the crew is confronted by unspeakable terrors––and aboard a boat named for such promise––comes the unimaginable. Spanning generations and every imaginable emotion, One Pink Line reveals how two points of view can be dramatically at odds, and perhaps ultimately reconciled. Simultaneously deeply felt and lighthearted, One Pink Line deftly mines how the choices we make are able to alter so many lives, and how doing the right thing and living honestly can bring unexpected, hard-won happiness. It’s a must-read for anyone who craves a great love story, absorbing characters, and plenty of laughs along the way. 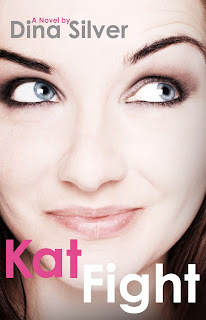 The seriously funny, fabulously flawed Kat Porter has arrived, and she may just steal your heart—not to mention your boyfriend. Readers everywhere will revel in this sharp-witted, well-meaning whirlwind in author Dina Silver’s hilarious new novel, Kat Fight. In her quest for love, Kat makes every wrong turn, juggling two men, one best friend, and her own deeply confused heart’s desires. Chloe Carlyle has always longed for the perfect family. Growing up with an alcoholic single mother, she has seen her share of heartbreak and disappointment, and is striving to build a new legacy for herself. After graduating from college, she takes a job working as a summer girl for the Reeds – a wealthy, accomplished family that personifies her American dream. Her summer takes an unexpected turn when the Reeds’ eldest son Tyler, the star quarterback for Notre Dame, shows up and turns her life upside down. An ambitious young woman with a wry sense of humor, Chloe never imagined herself as the type to succumb to the looks and charms of the hometown hero, but she falls hard for Tyler, and is devastated when they part ways at the end of the summer. As she heads off to law school, Chloe tries to convince herself this was just a fling, but she can’t quite get over him. It’s not until Tyler contacts her out of the blue late one winter night that everything changes. After doing everything in her power to build the perfect life, Chloe soon learns that there are things beyond her control. She must draw on inner reserves of strength as her life takes unpredictable – and sometimes heartbreaking – twists and turns, and she finds herself faced with decisions she never thought she?d have to make. 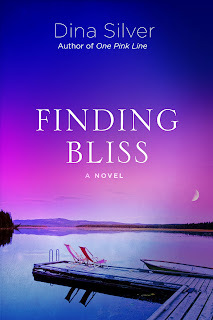 Poignant, heartfelt, and emotional, Finding Bliss is a reminder that you don’t have to live a fairy tale life in order to have a happy ending.